This post is sponsored by the School Nutrition Association. All opinions are 100% mine. When I was asked to attend and to cover the School Nutrition Association Annual National Conference I have to admit I was a little skeptical. What am I going to learn from a bunch of “lunch ladies” that I already don’t know about school lunches? Well… let me tell you something. I learned A LOT. A lot more thought and care go into school lunches than I ever realized. There are not only regulations and budgets to consider, there is the big issue of student buy-in. I am excited to share some misconceptions that there are floating around about school lunches and what I learned from the conference. The School Nutrition Association is a national, nonprofit professional organization comprised of over 58,000 members. These members aim to provide school-aged children with nutritious meals at a low cost. 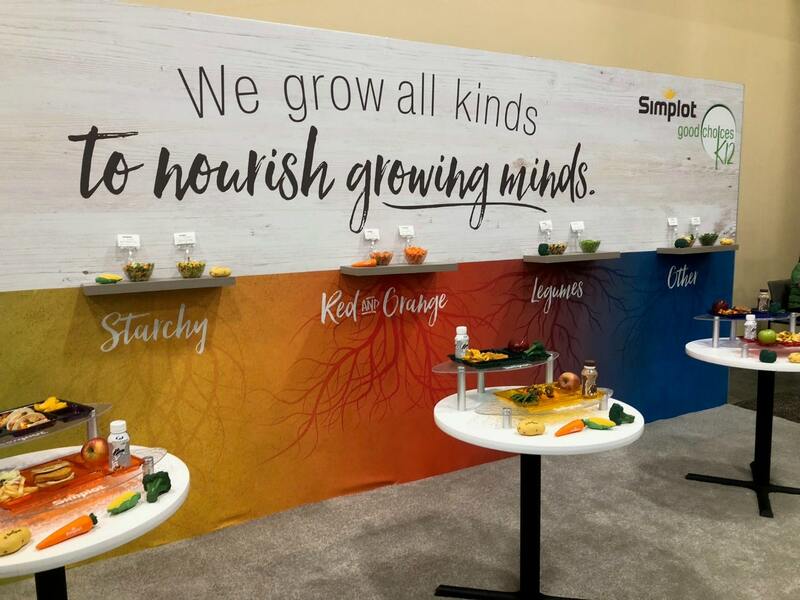 The School Nutrition Association host an annual conference every year at different locations across the country. This year the event was held in Las Vegas. The event includes professional development, industry activities and product demonstrations from vendors. 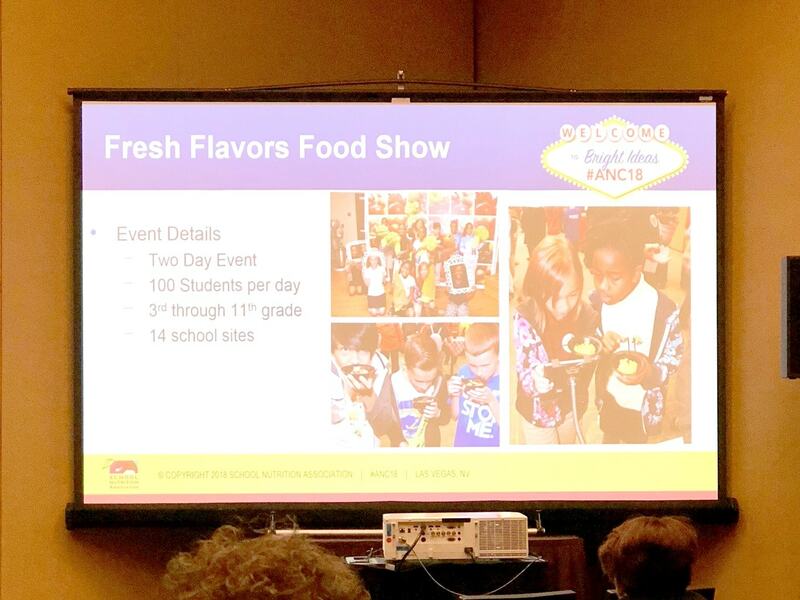 I spent the day attending a few sessions and touring the Exhibition Hall with industry leaders who explained a lot about what it takes to run a successful school lunch program. While I attended the conference I was surprised at how much I really didn’t know about school lunch programs. Here are the top 10 things I learned. The products they sell to schools are not the same products we buy in the store. That is right, the rice Krispy treat your child gets from the lunchroom is not the same rice Krispy treat you buy at the store. The cereal isn’t the same. Most of the products on the Exhibition Hall are purposefully created for schools. Schools must obide by USDA nutrition requirements and therefore snacks, meals, and beverages must include specific nutrients. 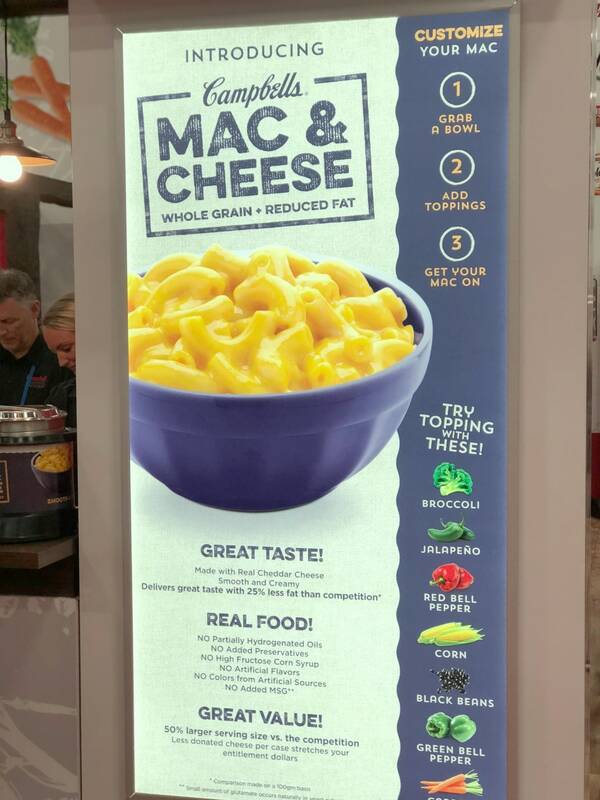 For example, the mac and cheese are made with whole grains and less fat than their mass-market counterparts. I was pleasantly surprised by this. 2. There is much more that goes into running a school cafeteria than just the food. Cafeteria managers must think about budgets and equipment and labor costs. They have to determine if it is more cost effective to buy pre-packaged cut fruit or hire someone to do it for them. When I walked around with Stephanie Dillard, Child Nutrition Direct for Geneve County Schools in Alabama, I learned what she has to think about when she creates her school budget. It was an eye-opening experience. 3. There has to be a buy-in from the students. I was lucky enough to also spend an hour with my kid’s Director of Food and Nutrition Services for MSD Lawrence Township, Stephanie Tragesser, while I was there (another post to come about this experience). She talked a lot about how she has to develop her menus to please both parents and kids and how difficult that is. If the parents aren’t happy she feels it, and if the students aren’t happy they don’t eat it. It is a hard line to follow sometimes. 4. School Districts do listen to parents and change things because of their feedback. Stephanie told me that she had to remove the honey buns from the breakfast menu because parents didn’t think the kids should be eating them. The honey buns were made with whole grains and abided by the strict USDA requirements but she listened and adapted her menu. 5. Product Development is key when it comes to taste. Do you know how hard it is to get a pizza crust made with whole grains to taste as good as one that isn’t? Pizza is a huge part of every school’s lunch menu. While touring the exhibition hall I talked with vendors who explained that recipe development is critical. If the kids don’t like it they won’t eat it. 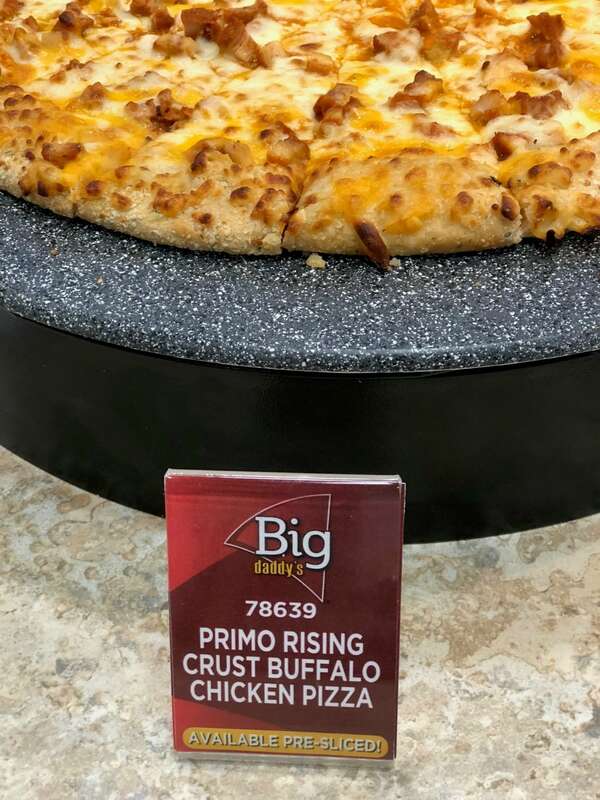 A lot of money went into creating the perfect pizza crust. I sampled it and I have to say that it tasted great! 6. Some school districts have to get special permission from the USDA to serve their kid’s grits. Stephanie is from Alabama and no matter what they did to their whole wheat grits, they couldn’t make them appetizing enough for their kids to eat them. They had to get a special waiver from the USDA to serve them at their schools. It sparked a big debate. 7. Pumpkin Seed Butter is the bomb! 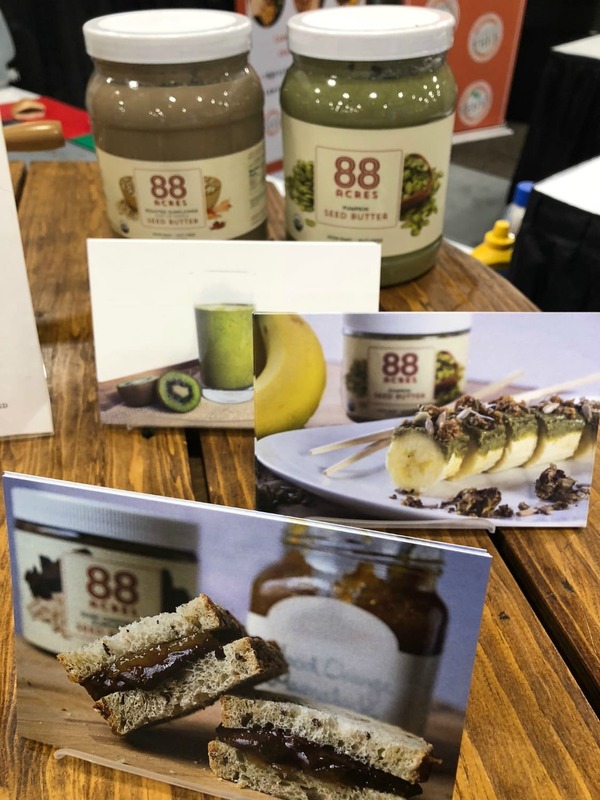 I feel in love with this product from 88 Acres and was excited to find out that this is one of the few products that you can actually buy in stores. They are launching in Fresh Thyme stores in a few months. I was so excited to get my hands on a container. Pumpkin Seed Butter is perfect for those of us with nut or gluten allergies, just another thing that school cafeterias have to keep in mind when creating menus. 8. 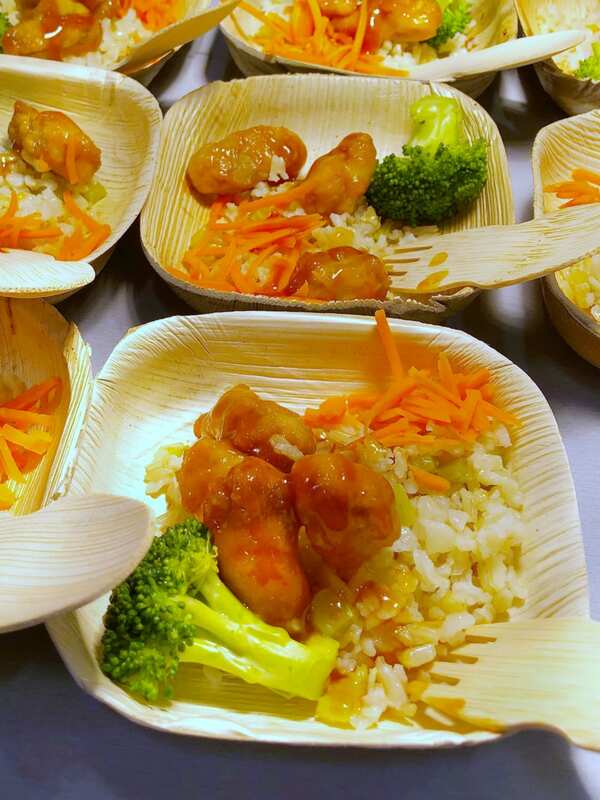 Schools have to get creative to get their students to participate in lunch. 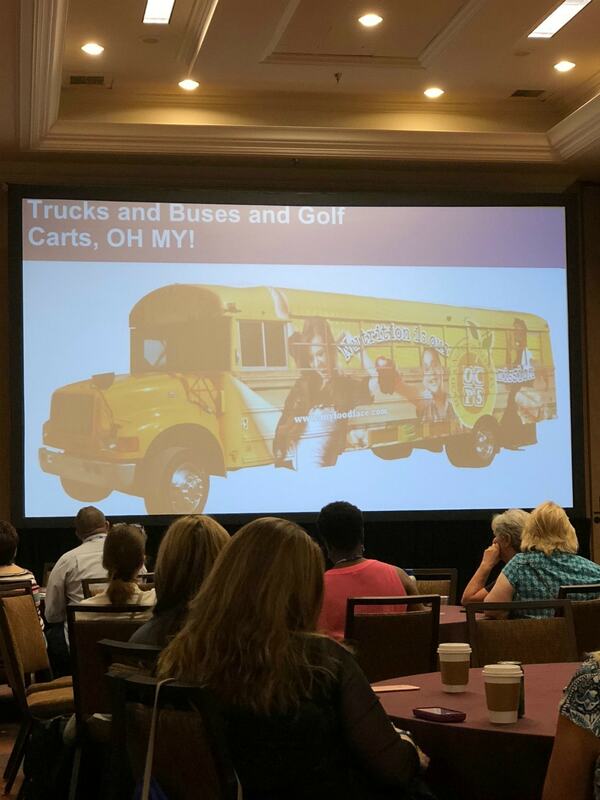 I attended a session where a Calfornia school district talked about providing food trucks, buses, and golf carts to their students during breakfast and lunch times. The more they were able to provide kids with the opportunity to eat their meals, the more kids participated in their programs. I attended another session where the district creates Try it Tuesdays where kids get a say in what items make it onto their school lunch menus. They also had events throughout the year like Food Fairs where the students got to try new items and rate them. 9. 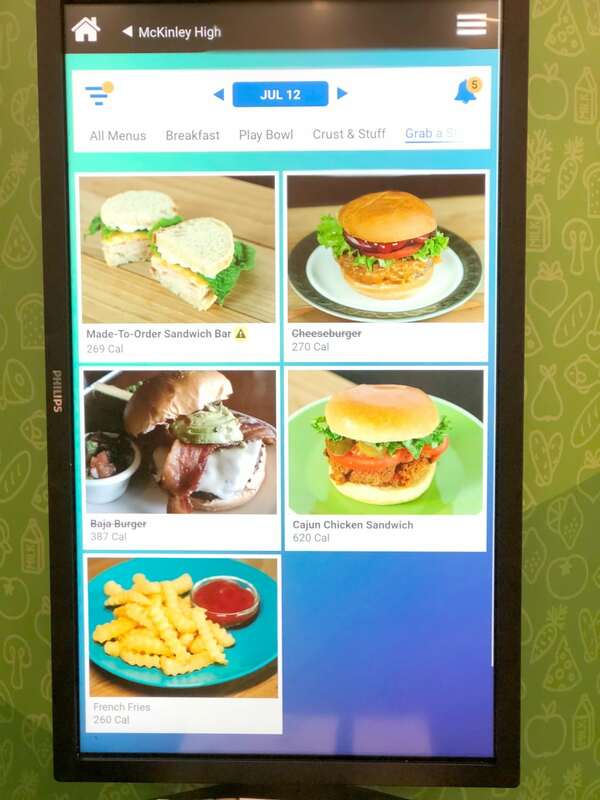 School menus are going digital and some allow kids to pre-order their meals the way they like them. 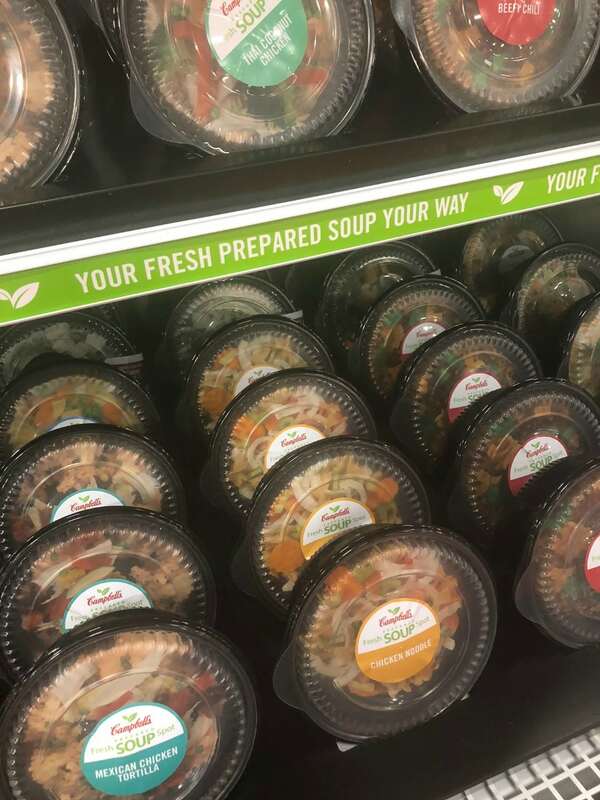 Move over fast-food joints. 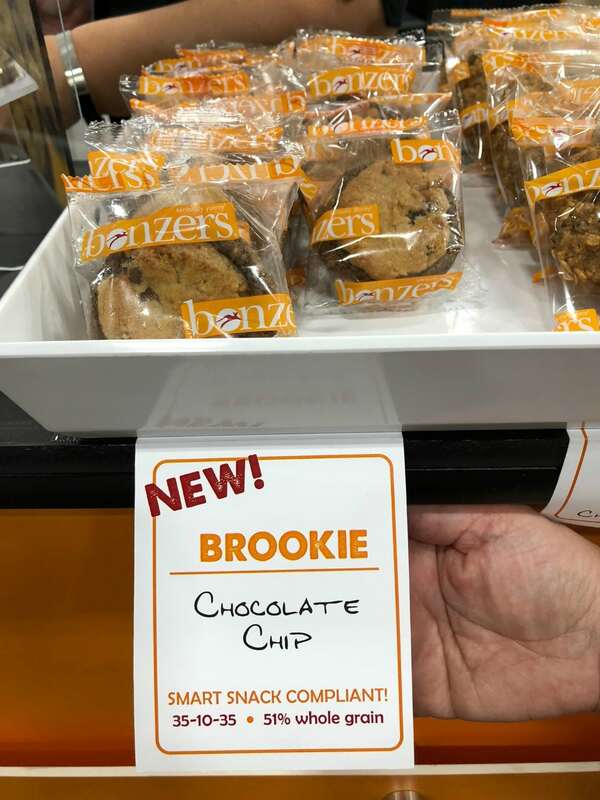 I love that schools are realizing that they need to get in the digital age and provide services like this for our kids, especially high-schoolers if they want them to stay on campus to eat. They need to complete with fast-food joints and this is just one way they can be successful. 10. A lot of planning goes into your child’s lunch menu at school! I think this was my biggest takeaway from attending the event. There is so much more to the decisions being made that I had realized. I am grateful that I had the chance to be educated in a lot of the different processes schools have to think about when developing their programs. There is so much misinformation out there about what your kids are eating at school. As a parent, I urge you to check out the School Nutrition Association website to learn more about school nutrition. I spent over 8 hours at the School Nutrition Association Annual National Conference so naturally I have even more to talk to you guys about. Stay tuned next month when I share more about my time in Las Vegas.